MOMO Tuner. With 2 variants available, either in black leather with red stitching and black spokes or in black leather with black stitching and anthracite spokes, the Tuner is available in a 320mm or 350mm diameter. 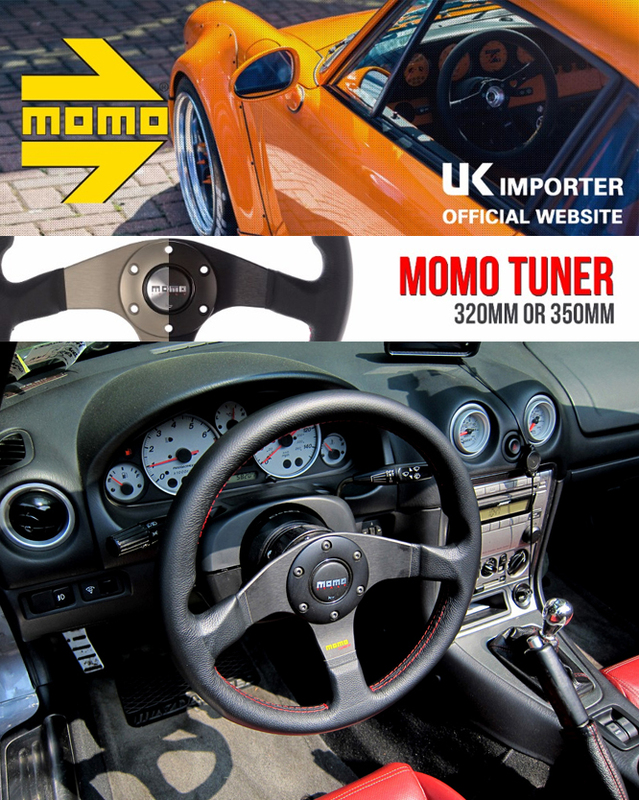 Like all MOMO steering wheels, the Tuner is handmade in Italy from the finest materials.